I have found over the years that sometimes my kids will get all their work correct on their math assignments every day, but they don't really know the concepts. That is one reason why I wanted them to try the Adaptive Placement Test and Individualized Lesson Plan from A+ Interactive Math with them as we finished up their curriculum for the year. 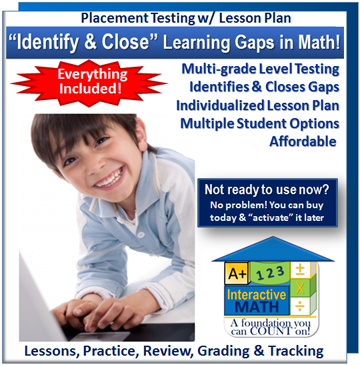 The Adaptive Placement Test and Individualized Lesson Plan is a three month subscription. There are tests and lesson plans that cover multiple topics for every grade level. Each test is timed and covers one topic. Taking the test identifies the students level in that concept and then creates an individualized lesson plan to help the student. 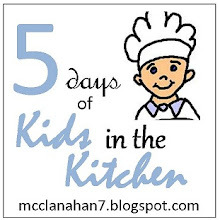 They should follow their lesson plan to help them master the skills they need to work on. Reports can be generated to see if your student is at the grade level they need to be in. I used the placement testing with all three of my girls. Everyone has their own login including the parent. The tests are like mini tests. They cover one topic at a time & although I didn't time my girls it seemed like it took them about 15-20 minutes for the tests. You have the option of taking all the tests first and then working on the lesson plans or taking one test and working on that lesson plan before proceeding to the next test. In the parent account I have access to all three of my girls accounts. There is a video on how to get started, I can view their lesson plan, their reports, and review their placement tests. My screen looks just like the girls but instead of a test review button they have a test taking button. When I review their test I can see at a glance where they are. It shows how many times they attempted each test & whether they are at grade level or not. It also shows me the grade level of their skills for that topic. From there I can look at each test & see every problem. In the reports I can generate a summary report and a progress report. I can also change the girls grade level if the tests are to hard or to easy. As soon as the student launches their program they have the option of taking a test, working on a lesson, viewing their reports. 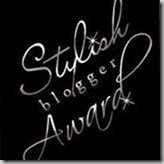 When the student takes a test they have the option of answering the question or skipping it. That way if they haven't worked on the given topic they don't have to stress over the problem and can work on it in the lessons. Each test can be taken multiple times and the attempted number is recorded on the test launch page & reports. The student can then review the test to see which ones were correct and which ones were wrong. In the lesson area the student can work on topics to improve their skills. My girls don't usually take tests with topics they have not worked on & they were a little frustrated when they first came to a question that they didn't know how to work. Once I explained to them that they will not know everything & if they did then we would change their grade level to a harder one they were fine with it. I gave my girls the choice of taking all the tests first before working on the lessons or completing them one at a time. They really liked that the tests didn't take a long time, but if for some reason the test was closed out in the middle of taking it you had to start over & an attempt was recorded. The Adaptive Placement Test with Individual Lesson Plans was very easy to use. Once I set my girls accounts up they didn't have any problems logging in & figuring out where to go. After they completed a test, they wanted to look it over to see which ones they missed. Alaina loves this progress report. It is very easy for her to see exactly what she is good at and what she needs to work on. It was very encouraging for her to look at this & made her want to try harder to get all of her people farther along the bars. These placement tests have been a wonderful tool to help identify learning gaps in my girl's math skills. I already knew where their strong & weak areas in math are, but this really helped pinpoint what exactly they need to work on. Adaptive Placement Tests with Individual Lesson Plans can be used no matter what math curriculum you use, what grade level the student is in, or where they attend school. 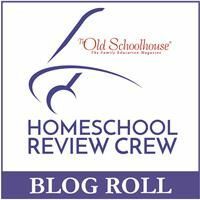 It is a great way to help your kids catch up or to just see what topics they have mastered. 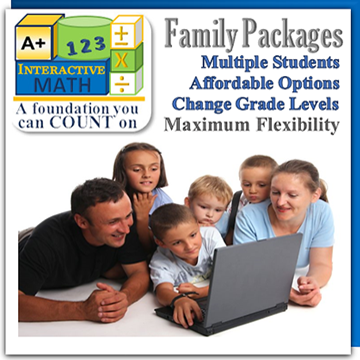 A+ Interactive Math offers a variety of products to meet the needs of homeschool families. Besides the testing they offer curriculum on book, eBook or cd for the entire family or individual grade levels. There are several freebies available to everyone. Their two most popular ones are the Math Placement Test & the Family Math Packages. 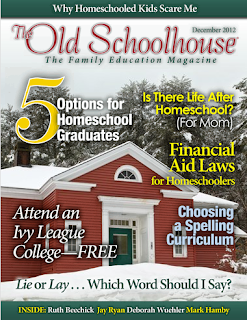 Other items you may want are the Free Software Download, a Free Single Grade Level, and a Free eBook. If you would like to try A+ Interactive there is a free one month trial. Crew members had the choice of reviewing the Placement Tests or the Family Math Package.